Condition: Very Good — in Good Dust Wrapper. Dust wrapper is edgeworn with a small amount of loss at head and tail of both panels. Gently bruised at head & tail of spine and corners. The volume contains the lectures delivered at the NATO / ASI held at the International School of Astrophysics in Sicily. 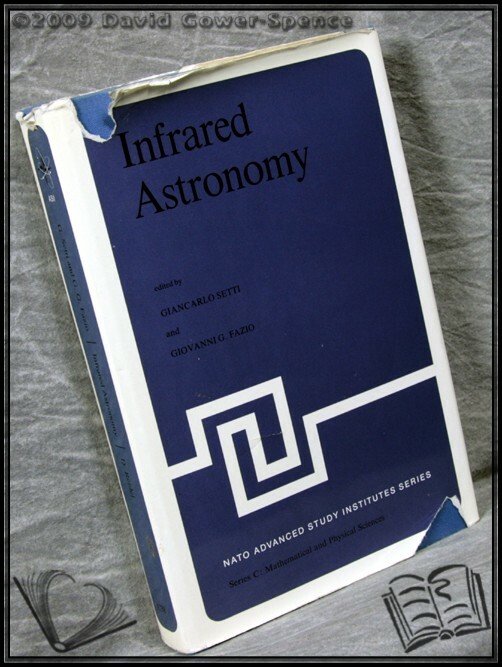 The aim of the course was to acquaint students and researchers of infrared astronomy and related fields with the many advances and future prospects in this exciting branch of astronomy. The lectures were delivered by distinguished international scientists and span a wide range of topics from problems of interstellar matter and dust and star formation, to problems of extra-galactic infrared sources, activity in galactic nuclei, formation of galaxies and the far, and the infrared background of cosmological origin. A review of the ambitious programmes to be undertaken from space platforms is also included in this volume. Size: 9¾" x 6½". [VIII] 353 pages.